The previous Great NEWS post discussed the benefits to saying Yes to Yoga and today be cover wide choices from the Energizing Exercises & Fascinating Fitness Menu. The original post on Maintaining Alignment, Muscles and Posture expanded into a ten part series with additional content to help educate, empower and excite more people. Maintaining Alignment, Muscles and Posture is essential for your long term happiness, healing, health and harmony and this week we discuss the wide selection from the Energizing Exercises & Fascinating Fitness Menu. The first post was a summary of the top ten tips for maintaining a peak performance physiology and psychology for life, It was the tip of the iceberg to help you totally transform your life with simple steps for Maintaining Alignment, Muscles and Posture to prevent physical problems from becoming debilitating disease. If a few sentences are not enough to influence, inform, and inspire you to shift old habits to new habits additional caring and sharing may be just what the doctor orders. Taking massive action will provide massive benefits so implementing one simple strategy now will help your life now and in the future. Exercising is an essential part of a healthy lifestyle. People often share sad stories of persistent problems and physical pains that refuse to go away. They result from many collective causes or individual issues. If this has not happened to you yet…that is great news. Remember… “An ounce of prevention is worth a pound of cure”. Apply these simple suggestions to help prevent and protect you from alignment, muscle and posture issues occurring. Categories, combinations and compounding of common contributors include: accidents, bad posture, birth issues, ergonomics, furniture design, heels, muscle development, shoe issues, injuries, mattress/ sleep problems, muscle issues, pillows, poor alignment, posture, stress, running or walking gait issues and many more. Terrible trauma or even tiny things can directly and indirectly cause annoying pains and problems to persist. 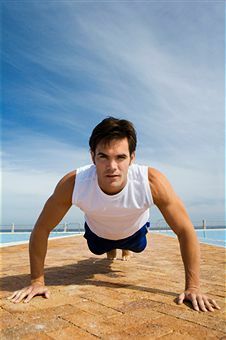 In Maintaining Alignment, Muscles and Posture Tip 10 your read about the Energizing Exercises & Fascinating Fitness menu. Let’s look at some popular modalities that can make a major difference in the quality of your happiness, healing, health and harmony in multiple areas of your life. Alexander Technique is more of an educational process than an exercise. Many problems like aches and pains of the back, head, neck and skeletal system are often caused when people continually abuse and use their bodies incorrectly over an extended period of time. Examples include singing, sitting, speaking, standing or striding while holding their heads incorrectly, running or walking inefficiently and weight unevenly distributed. The Alexander technique is designed to help people unlearn physical habits that harm them in order to help them return to a balanced state of poise and rest in which the body is correctly aligned. Small adjustments often produce significant advantages and alignment improvements. Many famous actors, performers, singers, speakers and writers have utilized these techniques to maintain their ability to excel in their vocation. Body weight and calisthenic exercises use intervals and variations of exertion, movement and rest to develop and maintain various ligaments, muscles and tendons. Body weight and calisthenic exercises use intervals and variations of exertion, movement and rest to develop and maintain various ligaments, muscles and tendons. These can be done anytime, anywhere and at any age. Examples include: bear crawl, burpees, chin ups, crab crawl, crunches, firemen’s carry, jumping jacks, jump rope, leg lifts, plank, pull ups, push ups, squat thrust, stairs, walking and yoga. The military services are big believers in body weight and callisthenic exercises for many practical reasons. These are also great for the do it yourself mentality and those that choose not to pay big bucks for a gym membership and also save fuel and time. Cross Fit, Monkey Bar Gym and Primal Training are programs combining body weight exercise, climbing movements, jumping, running, throwing and weight training. The goal is to move, pull, push, stretch and use the body is various positions and situations that require full body exercise and core strength utilizing a wide range of movements. Machines are typically avoided and simple resources like bars, kettle bells, ropes, sand bags, tires, water in containers and weights are incorporated into the routines. With these inexpensive and simple items a person is easily able to create their own home gym. Many followers go barefoot or wear Vibram 5 finger style footgear to replicate natural body and foot movements and routines as much as possible. Anyone can utilize this method of training via DVDs or the internet and no gym membership is required. Elliptical machines are mechanical devices that utilize a motor to produce a specific exercise pattern and range of motion for your exercise. Some replicate climbing stairs while others simulate a cross country skiing movement. Most exercise facilities and gyms have at least one elliptical machine. Unfortunately they are big, expensive, require a longer amount of time and waste electricity. If your facility has them and you use them occasionally it is not a big deal. The key is to be sure to add in a wide variety of exercises and movements to insure you will be fully developed and well rounded. The goal of HIIT workouts is to exert the body for an intense effort for a short period of time, allow almost full recovery and then exert again. High Intensity Interval Training (HIIT) and Dr. Mercola Peak 8 intensity training both typically involve intense effort for a set period of time (i.e. 30 seconds) followed by a low intensity effort (i.e. 90 seconds) and then repeating the cycle (i.e. 8 repetitions). 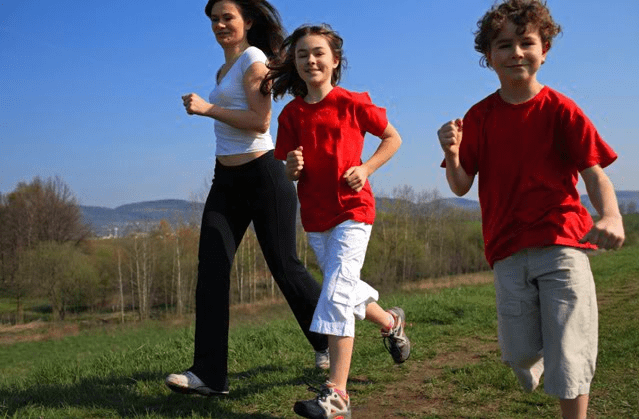 An example might be fast power walking for 30 seconds, walking for 90 seconds and then fast power walking again until you complete 8 repetitions. With this program you can achieve a great work out in 16 minutes plus additional time to warm up before and cool down after. The goal is to exert the body for an intense effort for a short period of time, allow almost full recovery and then exert again. The outcome is to give a significant stimulus to the ligaments, muscles and tendons to perform and then recover quickly with the intention to produce overall cardio vasculature, musculature, neurological and skeletal system gain, growth and hormone stimulation. With 3 workouts a week you are able to enjoy maximum benefits in the least amount of time. Be sure to add in additional activities like biking, climbing, dancing, hiking, jumping, lifting, paddling, rowing, swimming, throwing, walking and yoga for variety and well rounded conditioning. Isometrics is a form of exercise where you create resistance against a non moveable object which holds your muscle and joint static. Examples include bar hang, muscle contractions, planks, static push, static pull, steering wheel grip, towel toning exercise, wall air chair, wall pushes and yoga belts. Even using an opposing muscle tightening pose has been shown to stimulate muscle development and growth. Imagine yourself doing a variety of muscle men poses and feel and see the impact it has on your body, conscious mind and unconscious mind as you contract, stimulate and tighten your muscles to feel and look better as you improve your self image. Isometrics are a great way to effectively, efficiently and quickly tighten muscles for 30 seconds and then release to reduce stress and tension any place and any time. Martial arts such as Aikido, Judo, Karate, Kung Fu, Qi Gong and Tai Chi are great for helping to provide agility, balance, discipline, energy, exercise, fitness, lifestyle, mental awareness, physical movement, stamina, strength and training that require commitment and time to master. While they are all great activities it is important to use caution when selecting a specific discipline and trainer to insure they are most appropriate for your level of fitness and specific needs. Qi Gong is one of my favorites and with some basic movements, positions, tapping and visualization provides rapid results for energy, relaxation and rejuvenation. Pilates was designed by Joseph Pilates as a method of conditioning and training the body to build balance, coordination, endurance, flexibility, strength and tone. It focuses on the abdominals, arms, back, hips and legs while putting an emphasis on breathing with the optimal pelvic and spinal alignment. The Pilates system is designed for the exercises and intensity to be modified for different levels from the beginner to the more advanced as the body adapts and evolves to the exercises. Pilates started as a health and medical gymnasium and utilizes both exercise and mechanical apparatus for correct form and posture. Modern versions include the use of bars, exercise balls, foam rollers, mats, platforms, resistance bands, rotating discs and straps. One advantage of resistance bands and tubes are the light weight and versatility they offer. Resistance bands and tubes are made of latex or rubber and provide a variable level of tension when stretched depending on construction and design. To demand a greater force be applied more material is used or multiple bands are used. Usually they are color coordinated to indicate resistance levels. One advantage of resistance bands and tubes are the light weight and versatility they offer. Common examples of equipment using bands and tubes include Bowflex, loop bands, rebounder, rehabilitation bands and tubing. Springs made of metal are also used in some equipment to create a level of give and take. Common examples of equipment using springs include arm and chest spring equipment, spring loaded hand grips, rebounder and Suzanne Summer’s thigh master. Running various distance and speeds can provide a wide variety of benefits or challenges. Running at a slow pace is more time consuming whereas sprints are much more strenuous. Running has numerous risks that can result in injuries, posture problems and skeletal issues. Running for many people is boring and problematic. Many people have poor alignment, gait, foot placement and posture when they jog or run which can create numerous issues over time. Many people end up with back, foot, hip, joint, knee, muscle and tendon problems from poor running habits. My experience with long distance and time consuming runs versus sprints indicates that short distances take less time and may be more beneficial in the long run. Shoes also play a major role in the quality of the running experience. Running and walking barefoot on the beach is one of the best all round exercises for people of all ages. Slow Motion Interval Training is a methodology of doing various exercise routines with or without resistance or weights at very slow speeds. Slow motion training can increase the benefits while decreasing the risks of injury associated with normal training routines. Yoga and super slow weight training are examples of safe and slow exercise routines. Treadmills are popular equipment for those desiring to run or walk even when the conditions (darkness, safety) or weather are not optimal. Many models today have TV monitors with them for watching movies, news or programs to keep you distracted and entertained. Unfortunately this factor is what may be an unintended downfall because they often result in injuries for many reasons. People often lose their balance, focus or speed and since the machine is not designed to adjust to the person the person must adapt to the machine or else. Many people have been injured on treadmills so it may be best to avoid them and find a safer alternative. TRX provides you a gym in a small box to greatly expand your choices and utilize balance, body weight, core muscles, endurance, flexibility, isolation, power, strength and toning with a system that weighs about two pounds. TRX is an exercise system designed to use light weight straps to create flexible positioning, resistance and training routines. One of the greatest advantages is the light weight and low cost of the training system. The system is also very compact so it takes minimal storage and can easily be taken with you on the road. 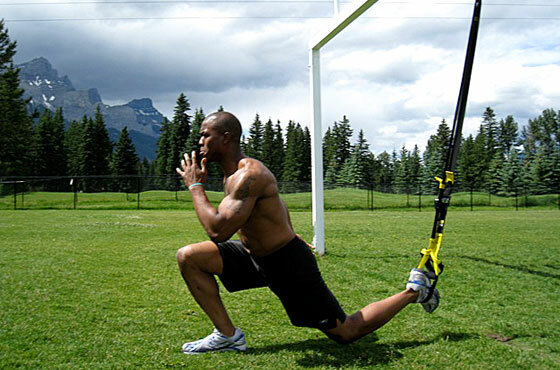 Another great benefit is the large number of exercises and flexibility the TRX system offers for almost unlimited special training and variety it provides. The only things you need are a stable mounting site, the straps and training guidance and you can begin exercising like a pro. TRX provides you a gym in a small box to greatly expand your choices and utilize balance, body weight, core muscles, endurance, flexibility, isolation, power, strength and toning with a system that weighs about two pounds. Weight training uses equipment that requires you to resist against weight from metal, sand or water in order to demand more from your muscles, neurological and skeletal system. Barbells, dumbbells, free weights, jugs of water, kettle bells, medicine balls, Nautilus machines, sand bags and water bottles are some of the more common forms of weight bearing exercise performed. While everyone should do some for of resistance exercise and weight training it is important to use proper form and procedure to get the most benefit and reduce the chance of injury. Yes many people are hurt every year from using free weights improperly and without attention and awareness. It is very easy to overdo an exercise with free weights or fatigue to the point you can injure yourself. Metal weights can be expensive and are very heavy and take quite a bit of room for storage. There are many other choices that may make more economic sense and are more green and sustainable. There are other versions of great exercise and fitness routines but many of them have cost, equipment or time limitations whereas these can be done almost any where at any time for any age. I have written about these in a previous articles so please check it out for more details. This Great NEWS post shared the many options for Energizing Exercises & Fascinating Fitness Menu for emotional, mental and physical peak performance. As part of the ongoing series on Maintaining Alignment, Muscles and Posture you now have even more resources to add to your rituals and routines for health. My outcome is to educate, empower and energize you to apply the top ten tips for Maintaining Alignment, Muscles and Posture to help you to be healthier with this Energizing Exercises & Fascinating Fitness Menu. How is your exercise, fitness and physical training providing the body you desire and deserve? What areas of your body are sending signals to your dashboard instruments indicating the need for attention and maintenance for Maintaining Alignment, Muscles and Posture? Find a combination of exercise and fitness routines that are fabulous, favorites, free and fun to do anywhere and anytime you have a few minutes. You can learn from books, classes, DVDs and even YouTube. What comments, commitments or questions do you have regarding your alignment, muscles or posture and the benefits of exercise and fitness?